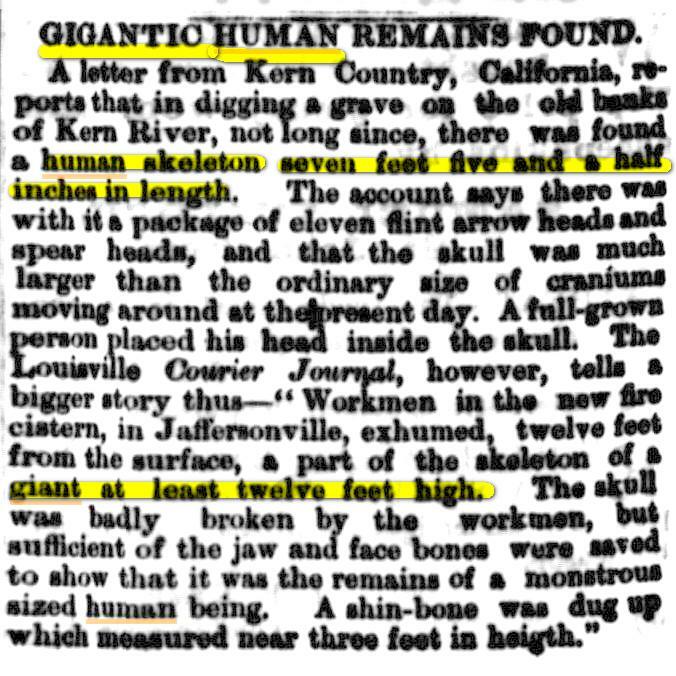 THAT WAS 1886 NEWS FROM THE ‘NEW YORK TIMES’ BEFORE POLITICALLY CORRECT DAYS: NEVERTHELESS THE SKELETONS WERE NEVER HEARD OF AGAIN, NOR DISPLAYED IN THE SMITHSONIAN INSTITUTE’S MUSEUM NOR ANY OTHER! 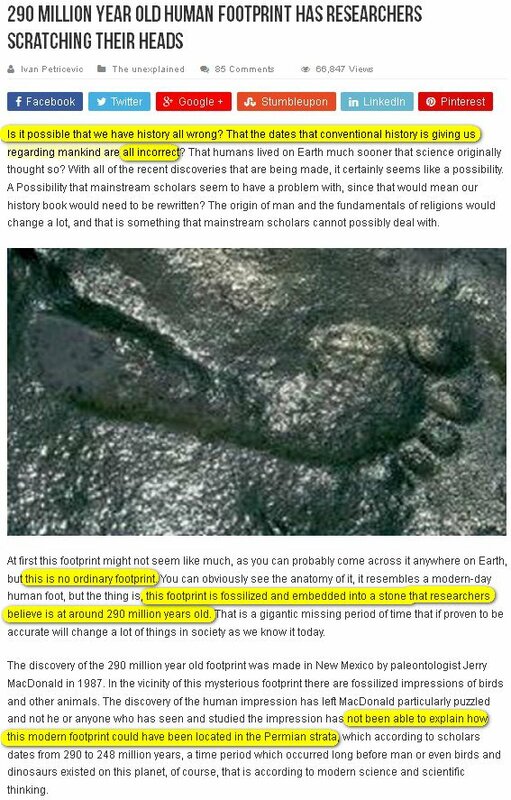 This horrendous cover-up and annihilation of tons of evidence for the existence of 8-12 or more feet tall giants (over 2-4 M.) in the world’s historical record, is nothing less than dictatorial academic censorship, far worse than what ever happened to Galileo! 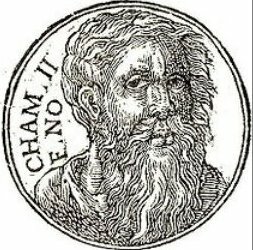 The Roman Church openly protested his views but never totally erased them from the record or silenced him. 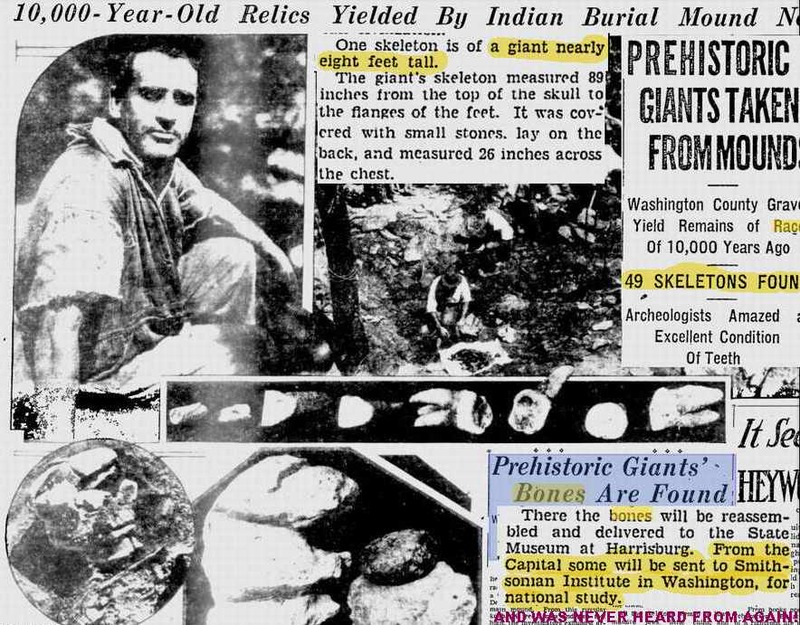 Au contraire, these Smithsonian censors’ underhanded behaviour is war by deception and stealth to purposely eradicate & suppress a very important part of our human history and key evidence that giants were a normal — and rather ubiquitous — part of the human experience! This is literally an “unheard of” scandal of epic proportions. 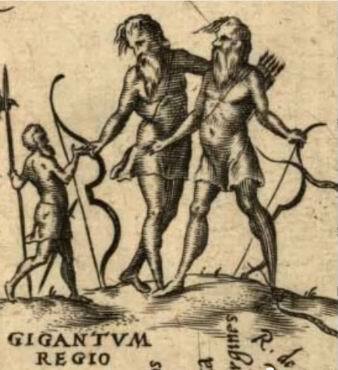 Not only Genesis dryly states, “In those days there were giants in the land“, and we heard about Patagonian giants encountered by Magellan first and Captain Samuel Wallis on the HMS “Dolphin” In 1767, who actually measured them, and many others since then, but almost every ethnic group on Earth has stories, legends, and very old “fairytales” about giants. 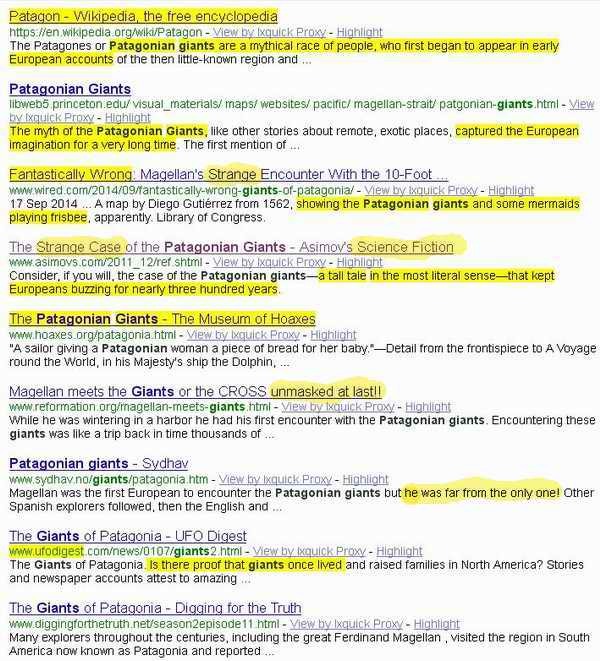 Concerning the well-documented Patagonian giants, this is what you will find in Google, Wicked-Pedia, Museum of Hoaxes, Princeton, and other Disinfo websites: (NOT on the Smithsonian website though, for obvious reasons!) NOTHING!!! 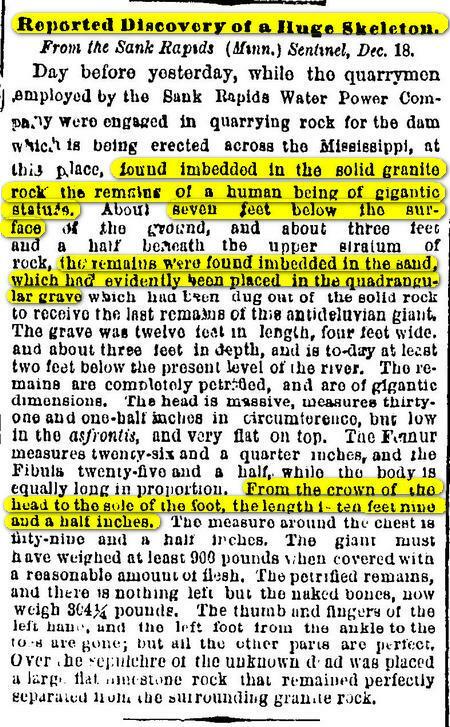 Most giant skeletons mentioned in the following clips were dug from the mounds found all over the South Eastern United States. 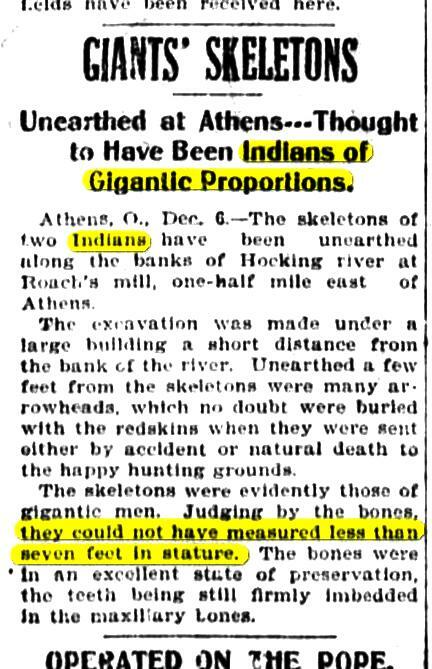 The old news items often label them “Indian” skeletons, but it is obvious that these belonged actually to the Mounds culture people who were lving in the United States long before the Indians even arrived there. 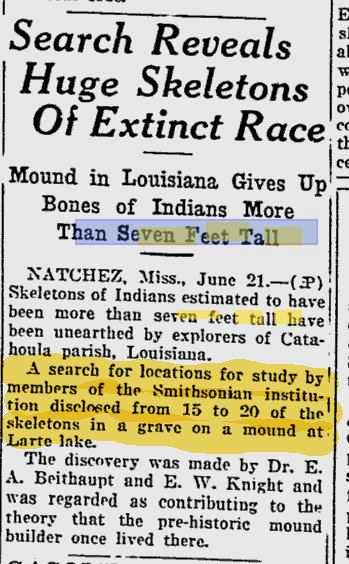 The giant skeletons found were often immediately turned over to the archaeological “authorities”, either to the local state’s natural museum, but most often directly to “experts” from the Smithsonian institute in Washington. 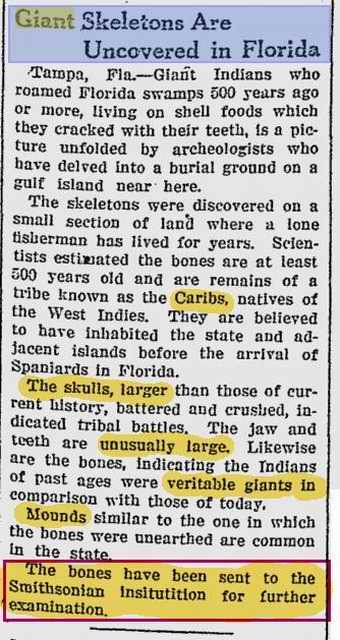 The skeletons’ bones and skulls were then taken away, yet strangely the Smithsonian nor the Natural State museums have no records nor any exhibitions of giant skeletons today or even yesterday. Is that why this curator is smiling like a Cheshire Cat? 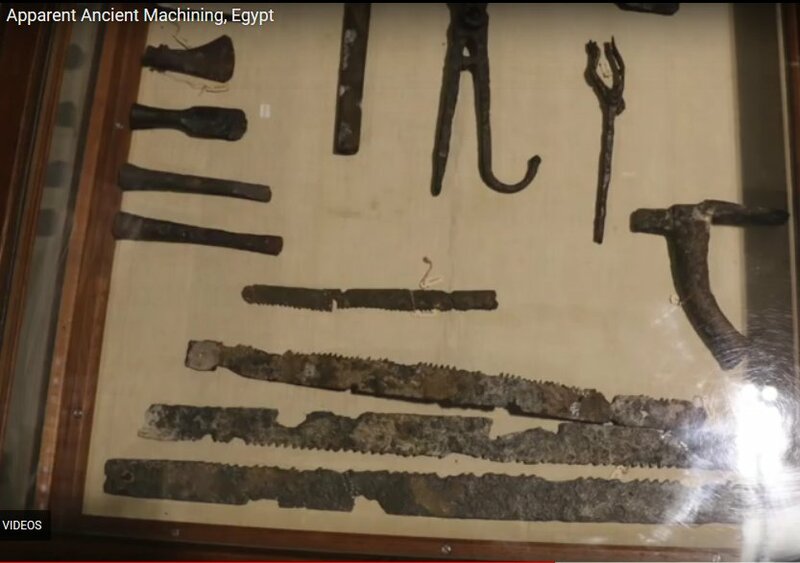 This more than shameful suppression of pertinent important archaeological finds seems to be endemic to historical academic institutions all over America, and as you will see, in other Western countries as well. 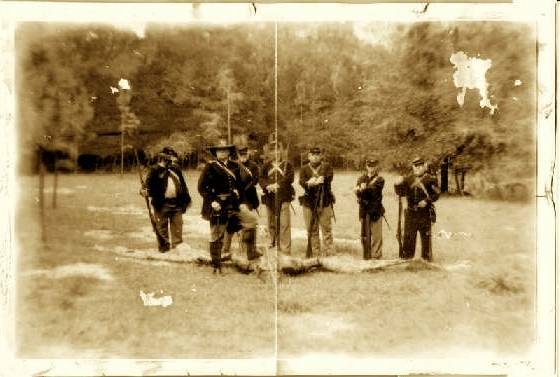 It is a scandal, thus far never exposed by the mainstream media, which ought to jolt the conscience of every true historian to wake them up out of their quackademic slumber and innate trust in these self-proclaimed false authorities who have taken advantage of their gullibility to suppress true history almost 150 years in order to promote a false agenda for obvious reasons. Read on. 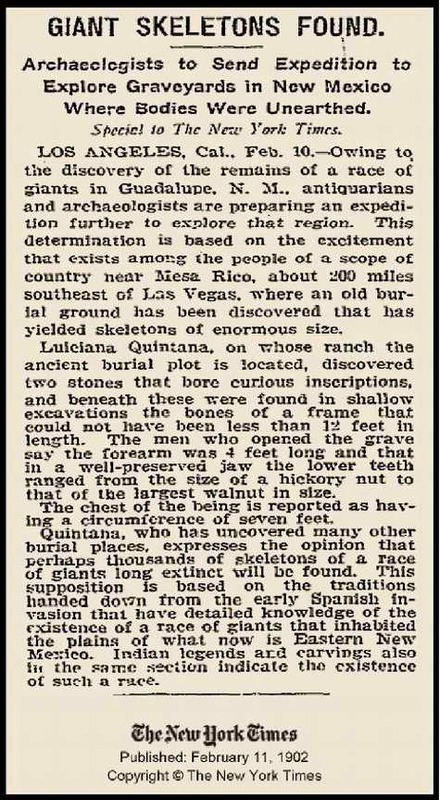 The New York Times of 1902 reports 12 foot (4 M.) tall giants in Guadelupe Mexico. 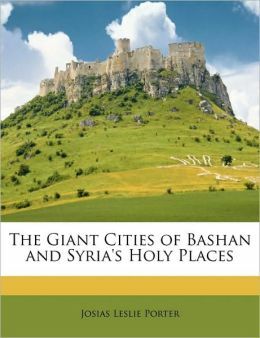 Giants of Bashan Syria like King OG! 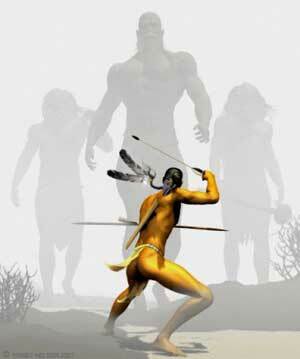 Some of us know of the reports of giants in the Middle East, like Goliath and King Og of Bashan in the Bible. 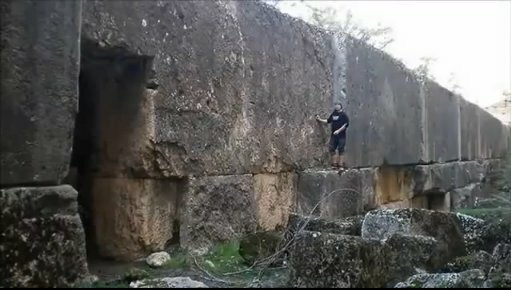 There is actual evidence in the Bashan area of Southern Syria of ruins of immense stone houses! But it seems that North America and its Mounds Culture people take the cake for skeletal evidence! 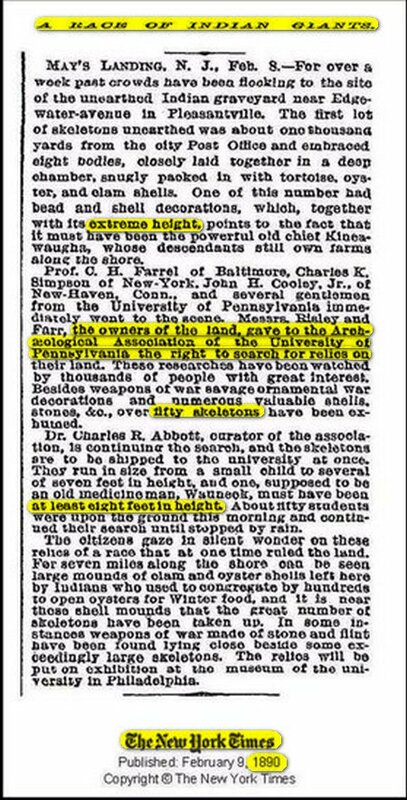 Report after news report and expert opinions galore, testify one similar analysis, that these were not American Indians, who actually fought them, but they already lived there long before the Indians settled in. 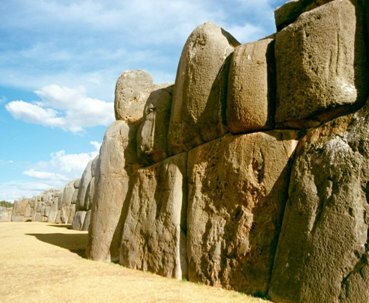 And acoording to our other research of ancient history here at Ancient Patriarchs it is now more than abvious that these giants got there from the Middle East on ships, around 2000 BC already. 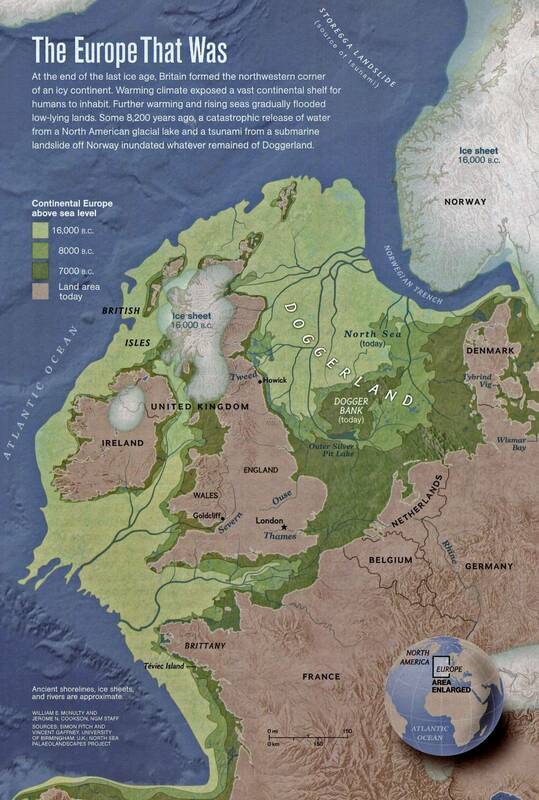 The giants appear to have mined copper and to have been quite advanced in culture. 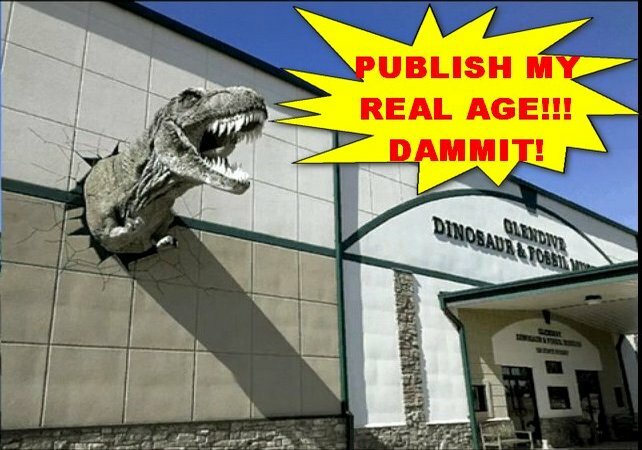 Why do Smithsonians and Mainstream Academia consider giants dangerous to openly support & not kosher to exhibit in state museums, or teach about in historical academia and public schools? 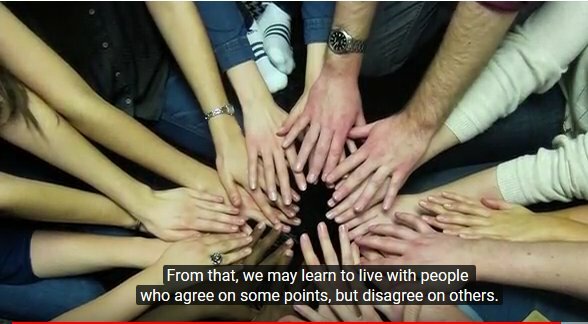 What is the politics behind it? 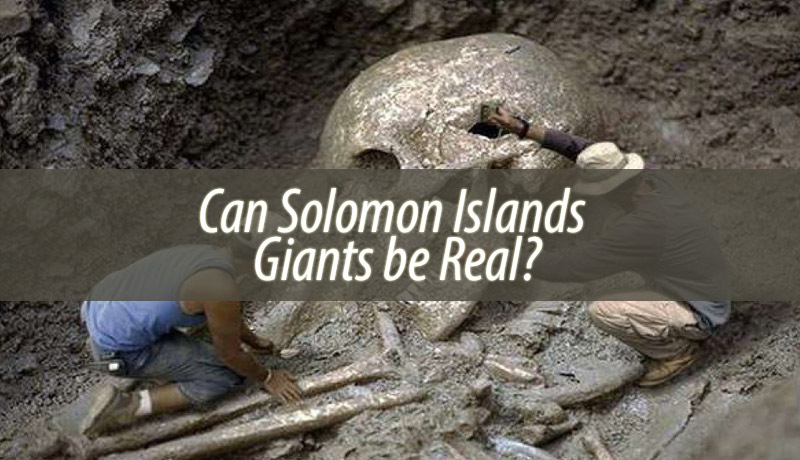 Why are they so dead set against giants? 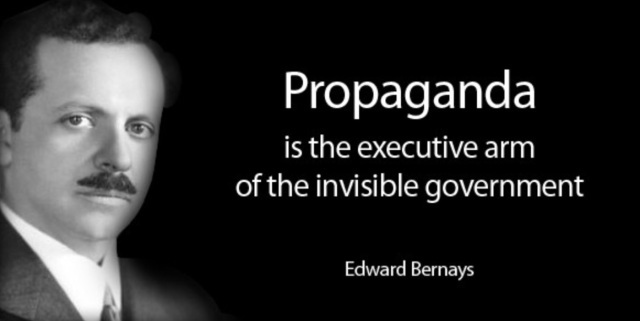 Has it something to do with obfuscating a certain world-view, and promoting a totally different paradigm perhaps? We shall see! 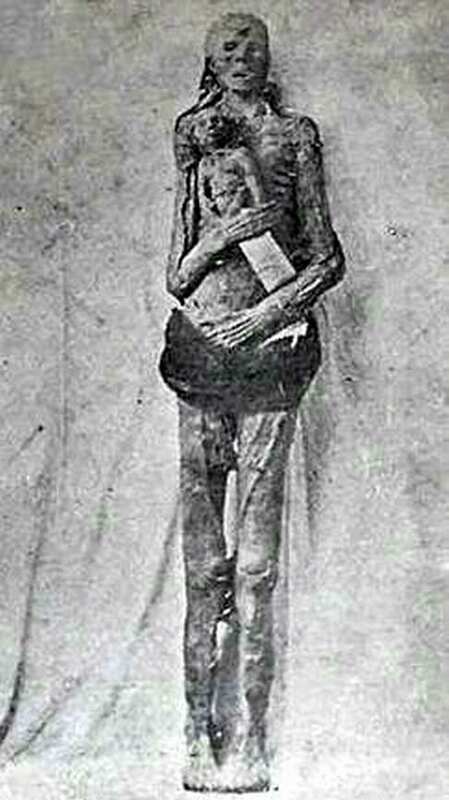 A Few Actual Giant Mummy Photos! A female giantess it seems–Also without any identification or detail. 9 Ft 3 M. Tall Florida Giants! 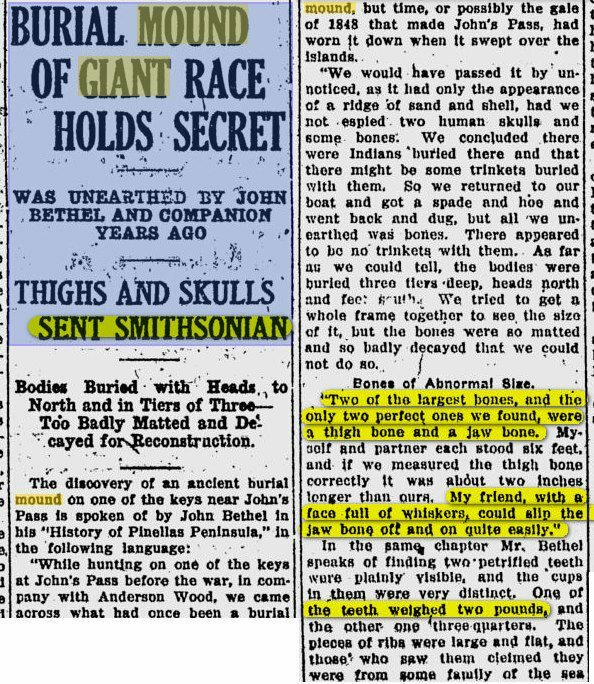 John’s Pass Giant Bones (sometime after 1848) sent to Smithsonian Scam Artists! 17-25 Ft 6-8 M. Tall Hawaiian Giants??!! 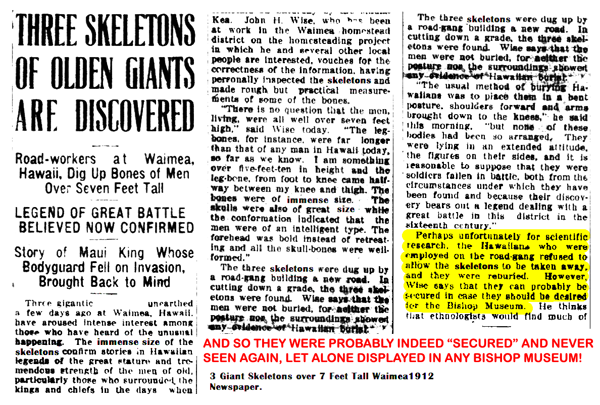 Only the Local 1912 Waimea Newspaper Reports About Maui GIANTS, But Not How They Were Lost to Posterity & the Maui People! 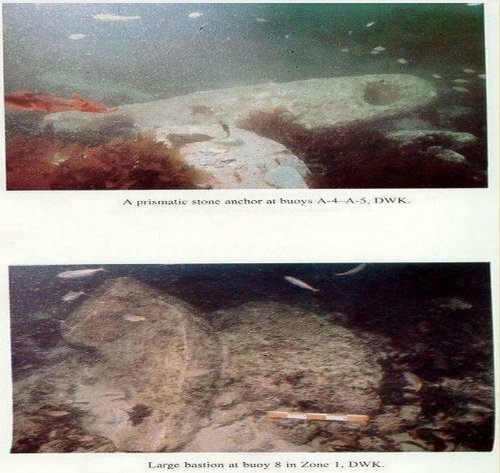 Were Maui Giants Shipped To Australia or Dumped in Pacific Ocean? 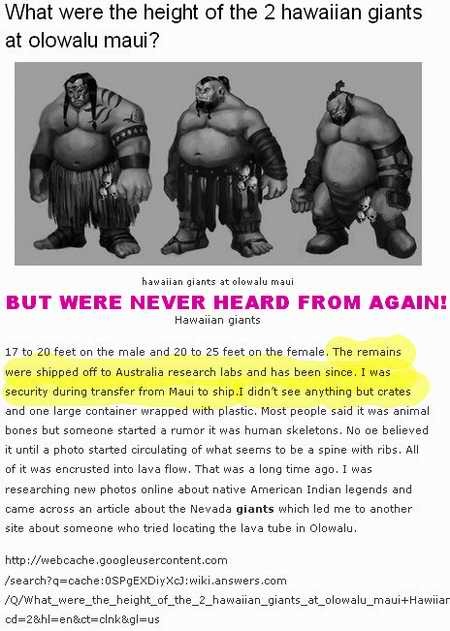 We know that some Maui Giants were shipped off to Australia, because a local security guy involved in the transport, reported on them in a forum! Idaho 8 Ft. 3 M. 20 Teeth Skeleton Spirited Away By SMITHSONIANS! Most Left skeleton is normal size. 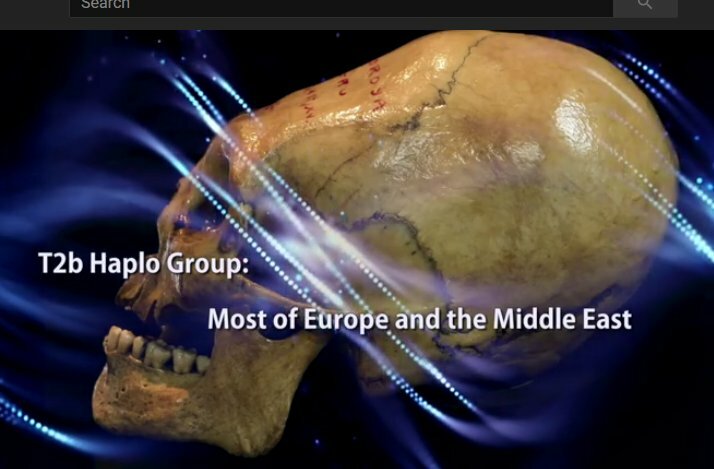 One before most right was King Teutobochus found in France in 1613 in a same named crypt. An Amazonian Giantess From Andes Peru! 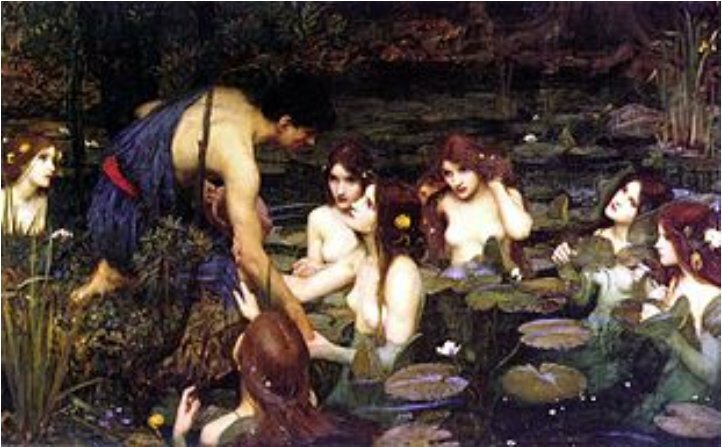 Well, if she was found in the Peruvian Andes, she was not an Amazonian, but a female member of the red haired giant early Sea Kings who sailed all over the world after the Flood! Question is: Where are her remains now! Disappeared as well? 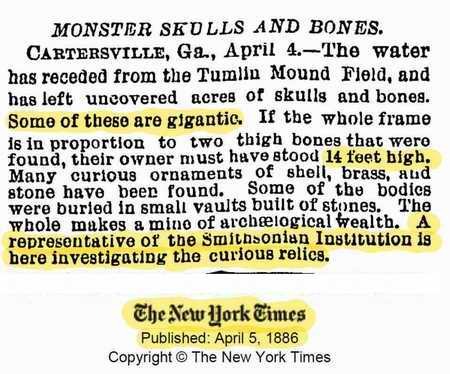 Georgian found giant skeletons “secured” by the Smithsonian historians and never heard of agaiN! 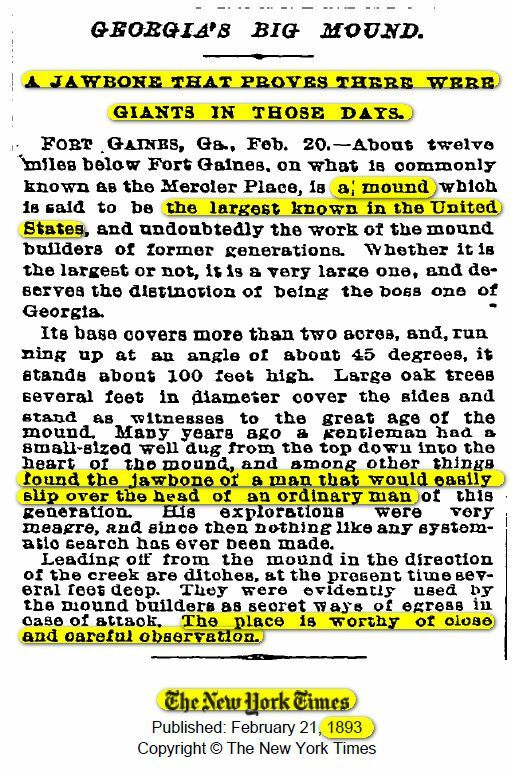 Florida Giant Found but Not Mentioned! 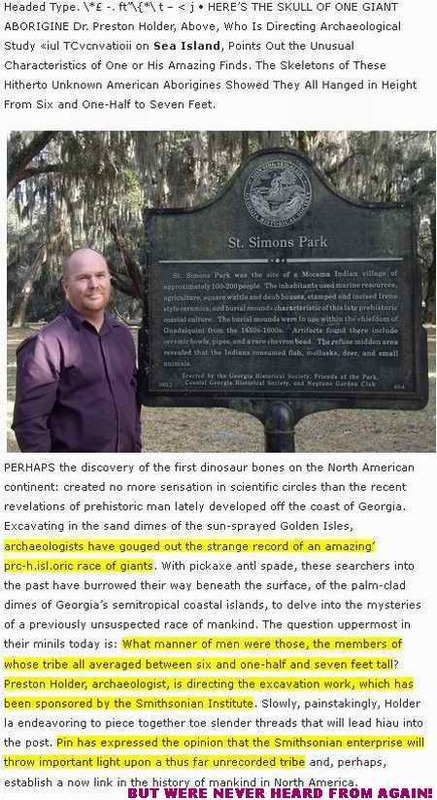 Florida Giant skeletons unearthed from Florida swamp, and spirited away by…who? 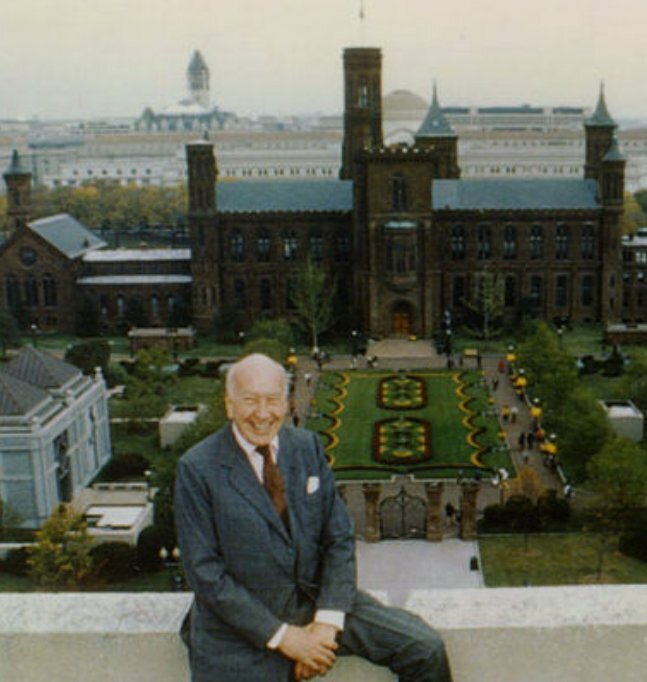 You guessed it — the Smithsonian Giant Cover Up Squad! 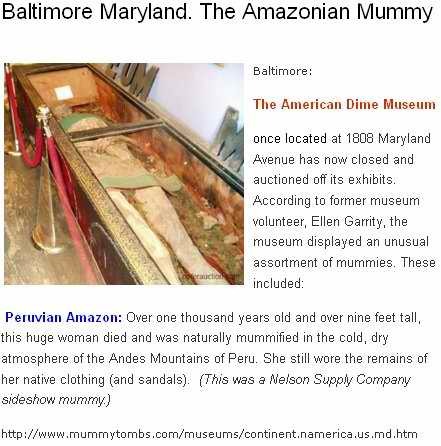 JUST AS THE NEXT GIANT NINE FEET MUMMY WAS CERTIFIED GIANT BY SMITHSONIAN PROFESSORS, BUT SECURED AND CONVENIENTLY ‘DISAPPEARED’! Well it never was placed in the national museum. 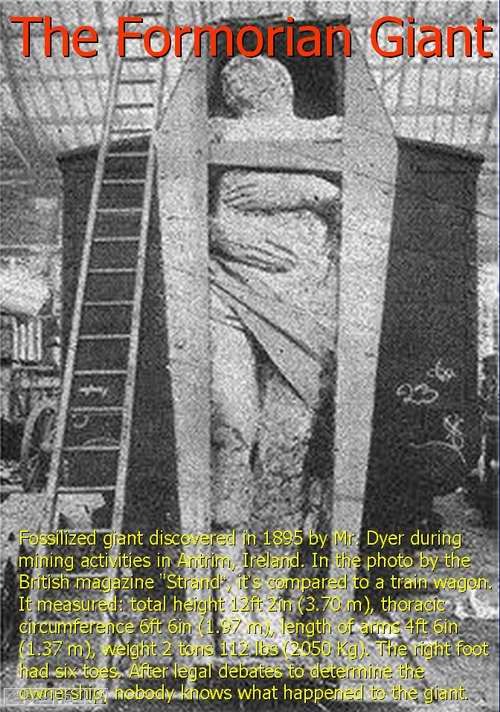 Have you seen a nine feet giant mummy displayed there? 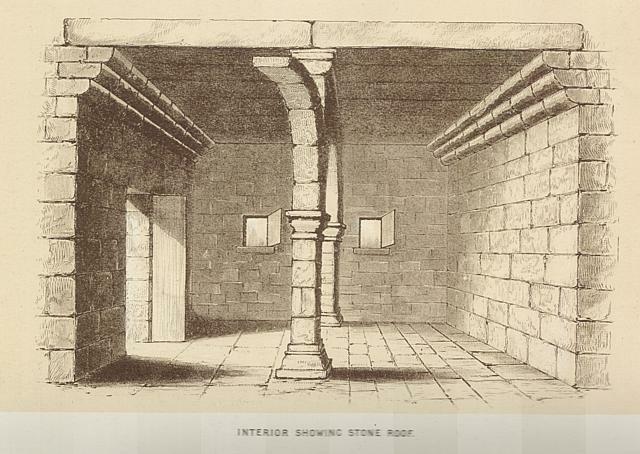 You might find bone traces of it in the bone grinding machine in the Smithsonian cellar. 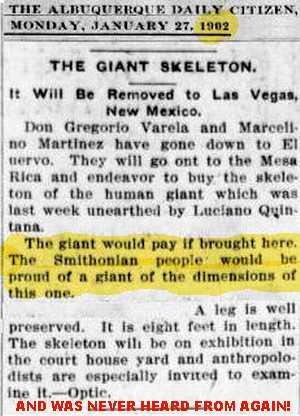 1902: THIS 12 FT 4 M. GIANT FROM NEW MEXICO ALSO SECURED BY SMITHSONIANS! 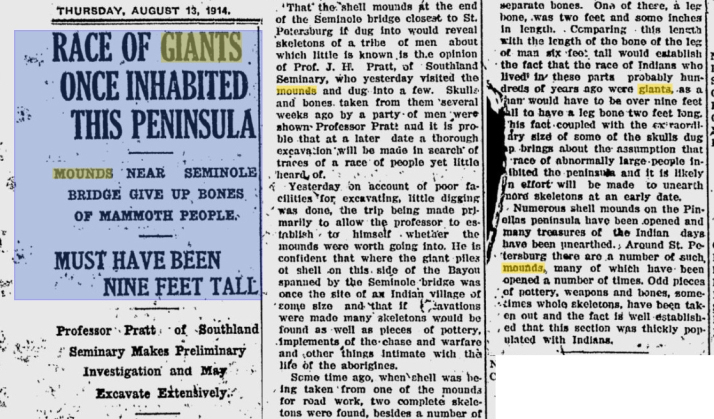 The Smithsonians sure were proud to get their unscientific grimy grabbers on these SEVEN feet tall giants. Did you ever see them exhibited in the Smithsonian Museum?? Not on your life. It doesn’t fit their Darwinian mind clamp nor the carefully contrived manufactured mass propaganda in many glossy magazinese for us the sheeple! American, Australian, & New Zealand Academic Pirates! But it is not just the American Anti-Science, Anti-History Squad, in New Zealand they are just the same! 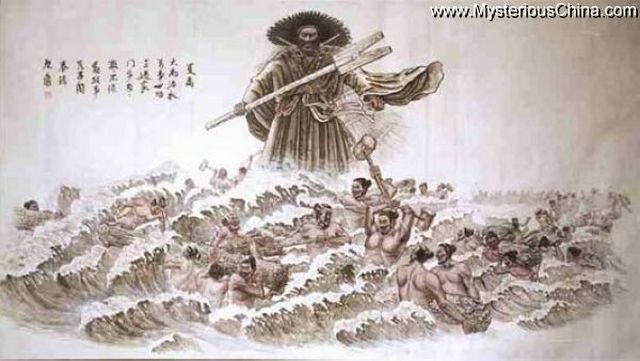 They spirited away 8 METER (25 Ft.) tall Giants that were never heard of again either! Ah, how sad! They donated this 18 foot (6 Meters tall!) 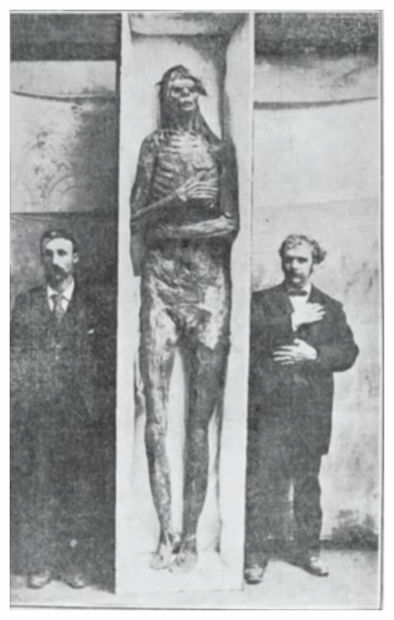 giant to the Smithsonian, under direction of anthropologist (that must mean giant hater) Dr. J. Walter Fewkes. I guess the Smithsonian do have a bone grinding machine. They wouldn’t take the risk that one of their more honest employees would squeal after doing inventory some day! Either that, or they have a giant cemetery in Washington! (No! I don’t mean Congress! They are the living dead zombie giants!) 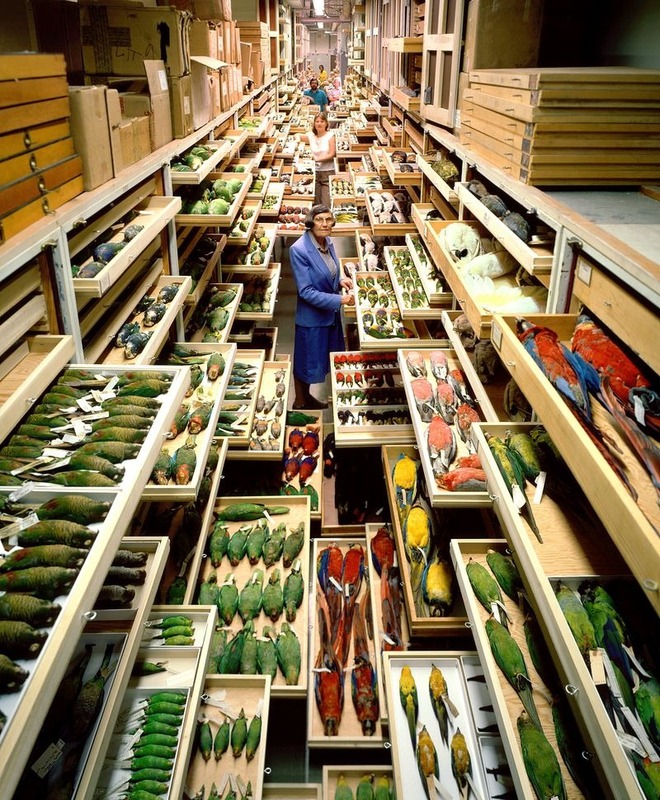 Well they do have stacks and stacks of dead birds there, but I don’t see hundreds of giant skeletons in boxes anywhere! Do you? 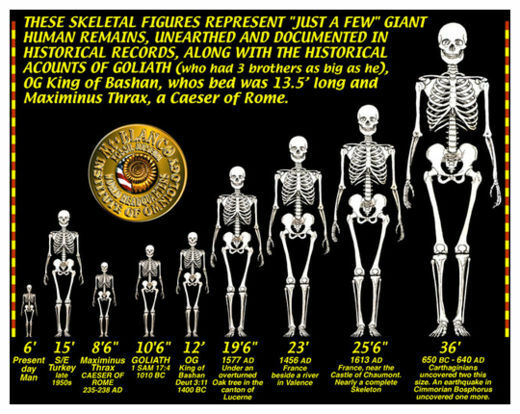 So WHY do they not want us to know about these giants. 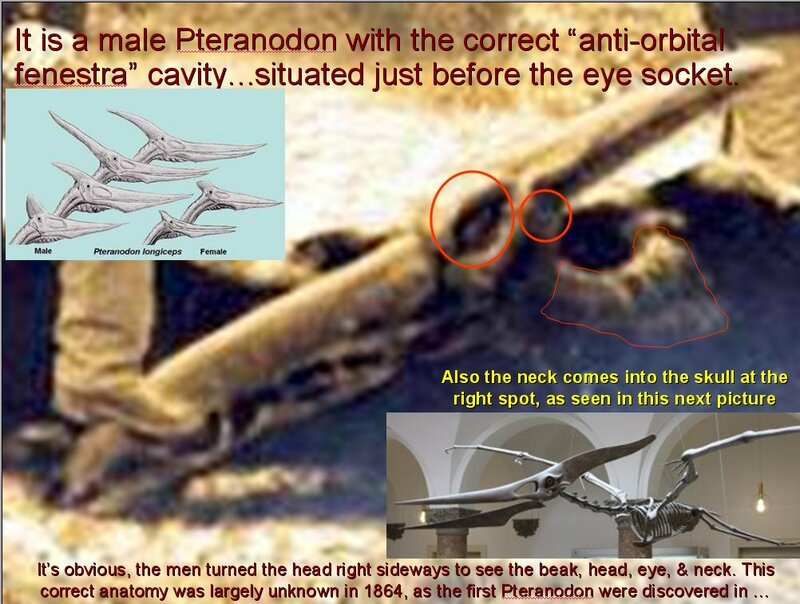 Here listen to what the Smithsonian anthropologist said about the owner of the biggest head he had found! “He was a man of exceptional intelligence!” More intelligent than us! When? 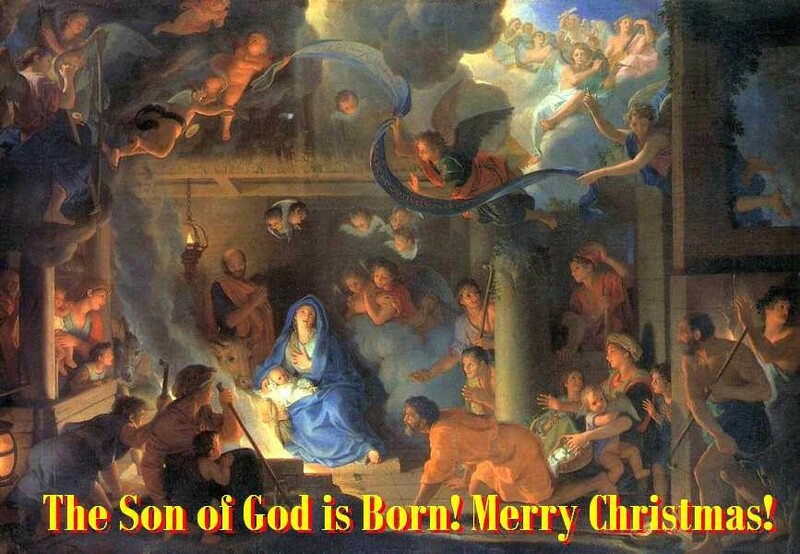 BEFORE WRITTEN HISTORY BEGAN! Is that perhaps a clue? The biggest brain in America was also sent to the Smithsonian to Dr. Ales Hrdlicka, and then it disappeared! People really trusted those Smithsonians then. 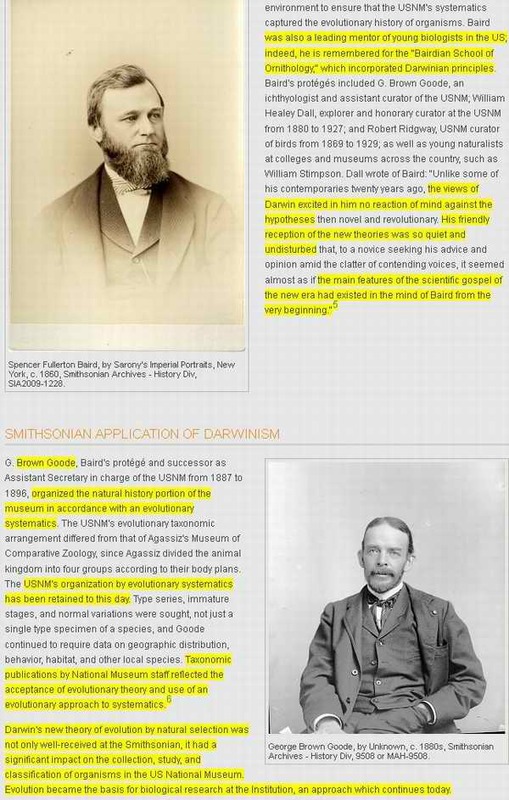 After the first secretary of the Smithsonian Institute, Joseph Henry who was interested in Charles Darwin’s Origin of Species published in 1857, and ordered the book at once, he was followed by staunch Darwinist Spencer Fullerton Baird, who trained his successor, protege and friend George Brown Goode who led the SI until 1896. 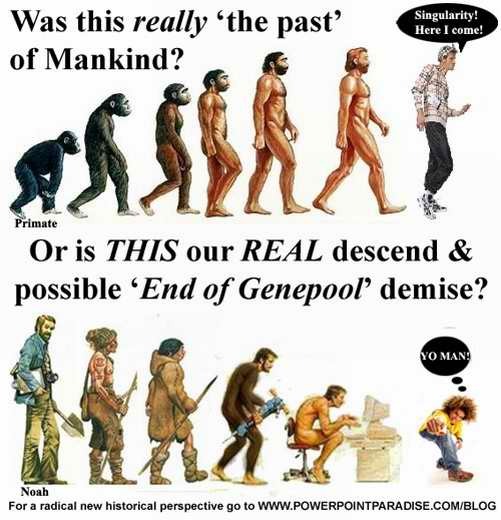 Eversince the S.I has followed a rigorous Darwinian approach until today! 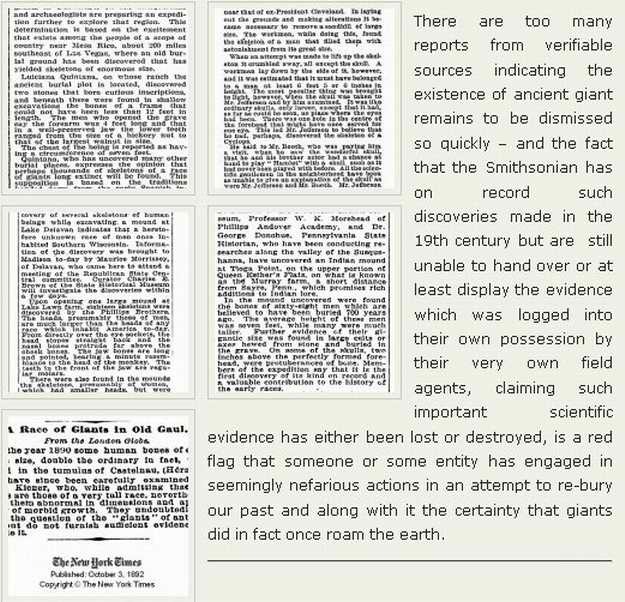 That verily explains things and their agenda for disappearing anti-Darwinian artifacts and archaeological items, like the giants that are rarely mentioned in the first Book ever published by the S.I, on –guess what– “American Mound Builders.” Although the newspapers of the time are full of news about them, that book does not mention giants at all! Huh? The following is straight from the horses’ (or deceiver’s!) 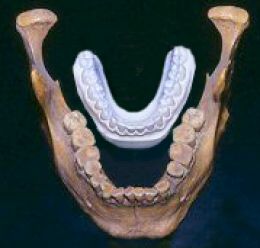 mouth — on their own Smithsonian website! THE DEAR BOYS PROBABLY TOOK THE FUNDS FROM THE ROCKEFELLERS OR ROTHSCHILDS, AND THREW THEIR CONSCIENCE UNDER THE BUS! – MONEY SQUAWKS! 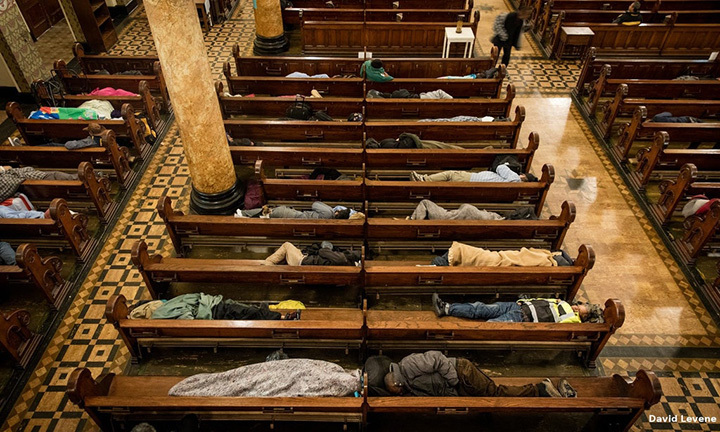 HOW MANY TODAY ARE JUST LIKE THEM! Washington! 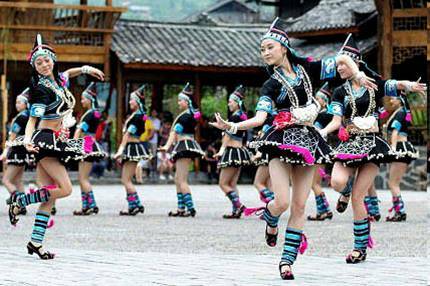 Australia, New Zealand, Grea Britain, Ireland, all had a tradition to obfuscate real history! 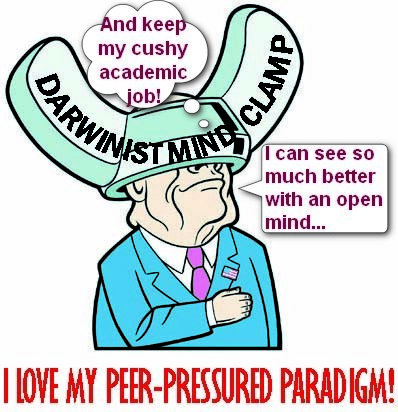 I’ll tell you: The Uniformitarian Darwinian Thought Police are globally very well organised and hyper active! 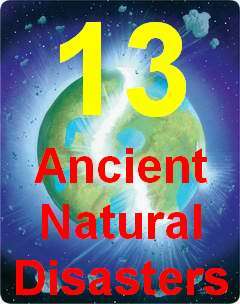 And they are well supported by all the glossy “Science” and “Nature” magazines on the bookstands, and of course by all the “science”, “nature”, and “history” programs on the Telly or the Tube! They’ll all tell you a tall tale that most of you would certainly believe! 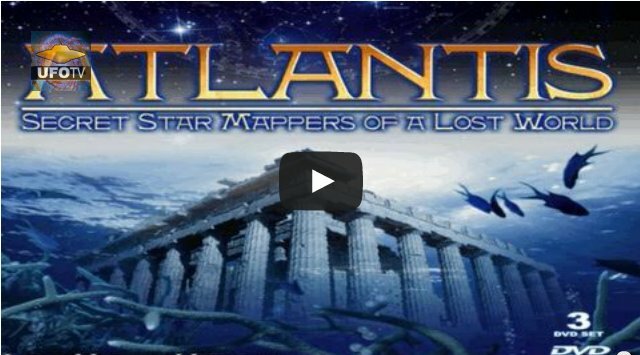 Hysteria Channel, National Pornographic, and UFO TV, will tickle your ears with all juicy details, mysterious submerged civilisations, megaliths, pyramids, and date them back way too long, and blame it all on Evolution of billions of years. 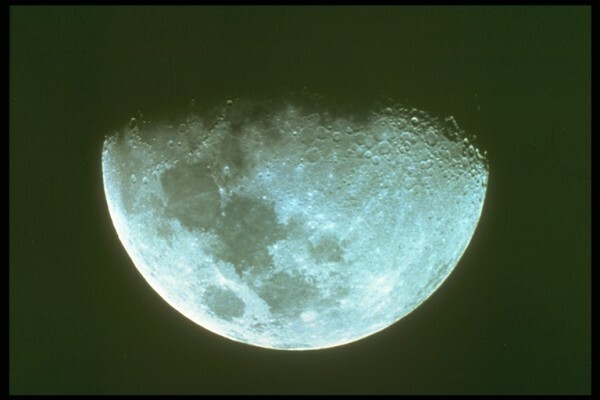 Either that, or they now begin to blame it on…the ALIENS! 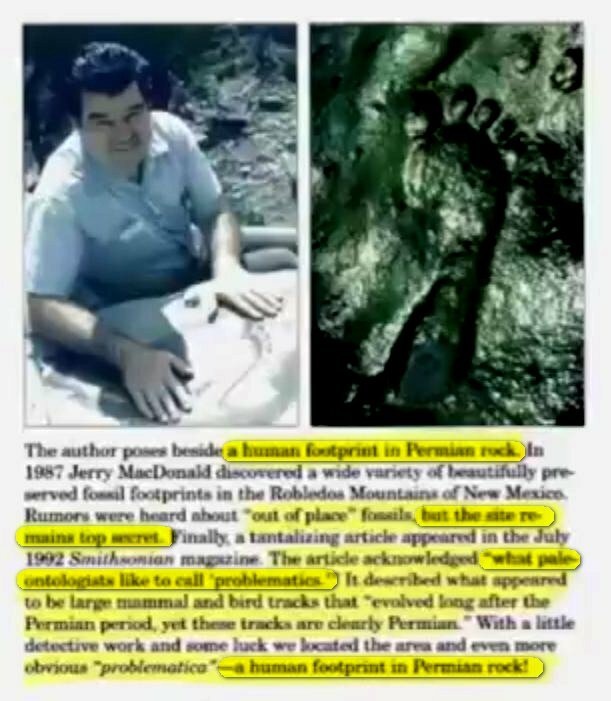 Like they did when the Russians found a fancy metalurgic wonder in 300 million year old coal near Wladiwostok! Guess what the Voice of Russia’s headline was: “High Tech UFO Cogwheel Discovered in 300 million year old Coal Seam!” Ha! Read it for yourself! You’ll get a kick out of it. This one was not sent to the Smithsonian. 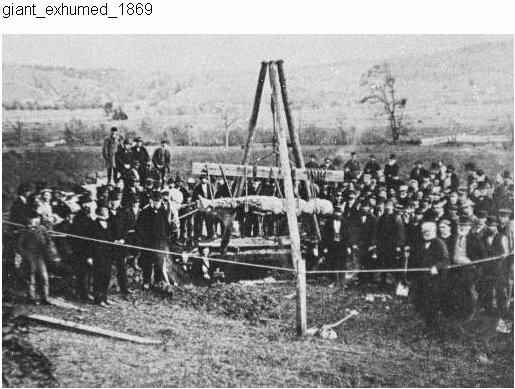 It was found in a mine at Atrim Ireland and it was argued over who it belonged to, but then also in Britain… it just vanished into thin air. 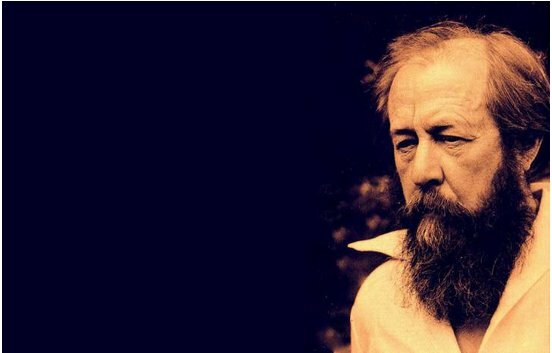 We only have the picture that appeared in Strand Magazine. 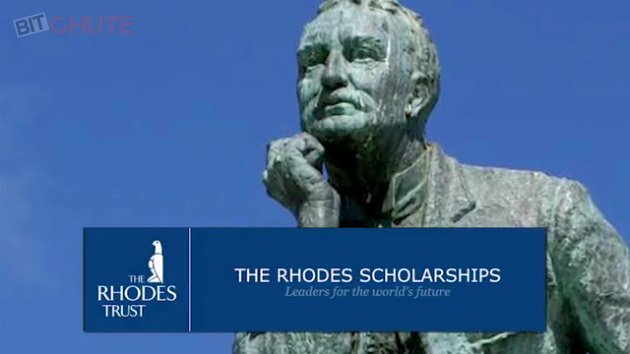 Well this entire Darwinian hoax started in good ole England after all, and that is where all the Darwinist progress was made for the entire world via the Rhodes Scholars and the Rothschilds. No wonder it disappeared. 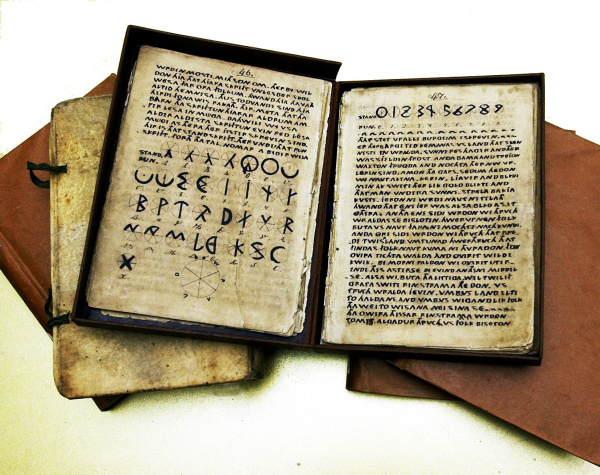 Do you still want to study HISTORY at UNIVERSITY? You will have to leave TRUE science BEHIND!! 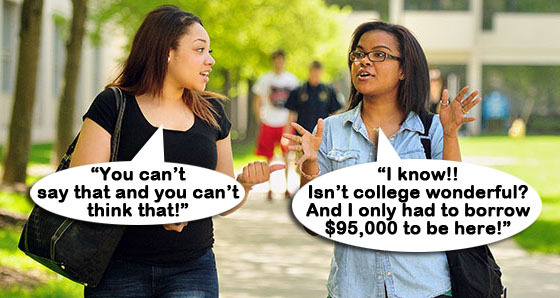 I guess if you’re in it for money, fame, or a cushy academic position, it won’t faze you. But remember you will be responsible for what you teach these kids! 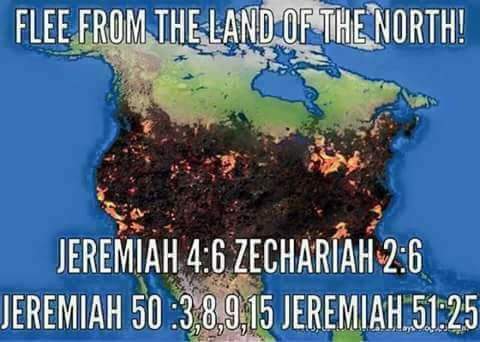 And all liars will have their fate in the Lake of Fire! Lisa, The FBI, and Smithsonian Thought Police! Here is another report concerning resistance to publicising discoveries which happen to be at variance with accepted scientific dogma. 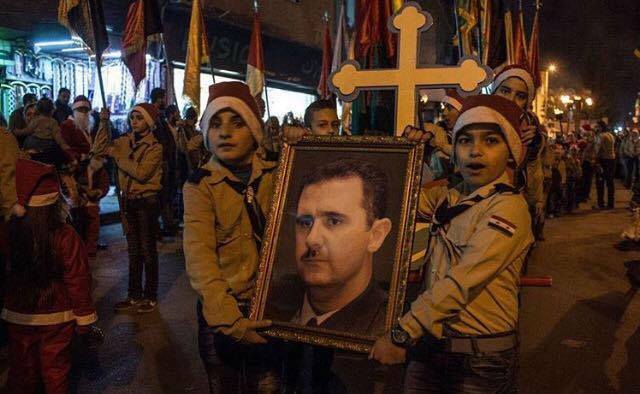 The truth WILL eventually radiate around the world, as it deserves. A friend of mine had a long talk with a New Zealand girl called Lisa Kerr. She’d done extensive traveling, like many young New Zealanders, who head out on their traditional OE (overseas excursion). Lisa, amongst several jobs she got around the world, worked for a while with the New Mexico Park’s Department. During her term of employment there was a big “washout” in one of the Park regions and I’m assuming it was up in Pueblo country around Taos. 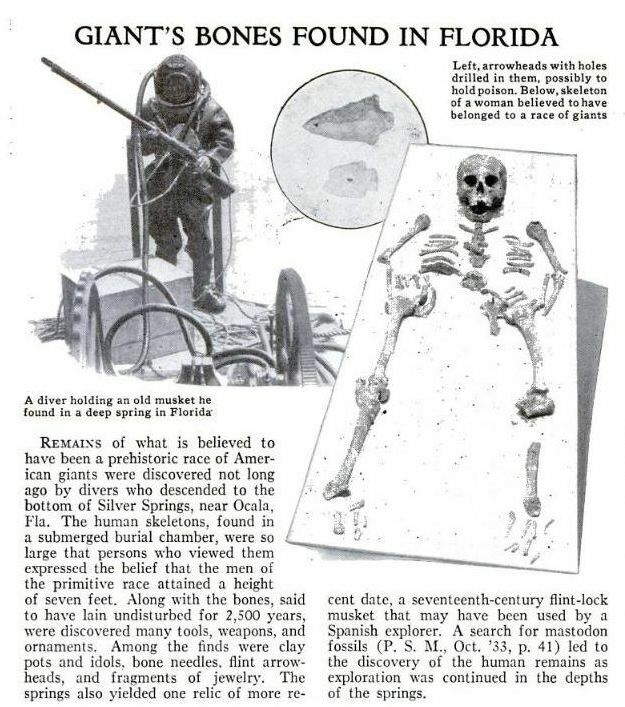 The flash Flood scoured out embankments and in doing so a large number of anomalous skeletons were exposed. 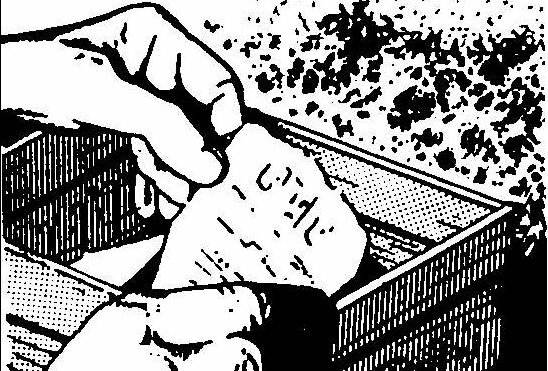 Lisa and her colleagues were assigned the task of gathering up the remains and placing them into crates. Also in attendance at the site were Smithsonian Institute officials and FBI agents. Each day as Lisa and the other Park’s Department employees went onto the site, they were searched for cameras. Similarly they were searched as they left the site each day to make sure they weren’t removing artefacts. They were also obliged to sign “secrecy documents” ensuring that they would never divulge details of their participation in this undertaking. 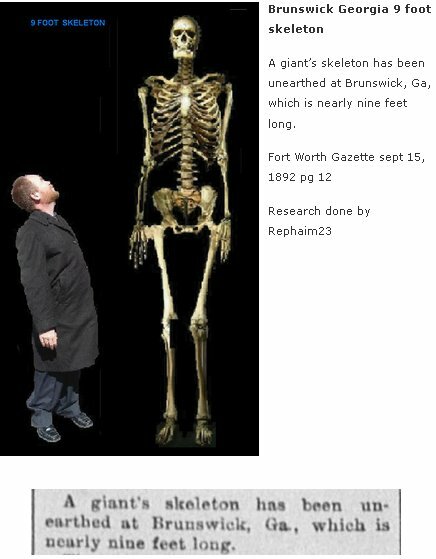 The reason for this degree of secrecy stems from the fact that the skeletons were of people who were about 8 feet tall. 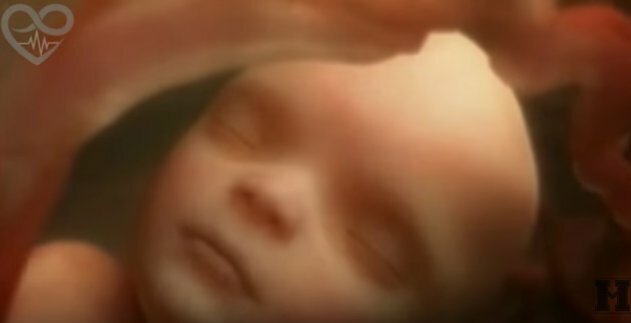 They had six fingers on each hand and six toes per foot. 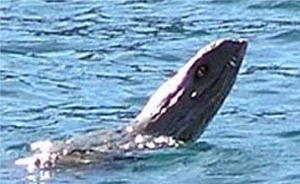 They also had a strange, double row arrangement of teeth. 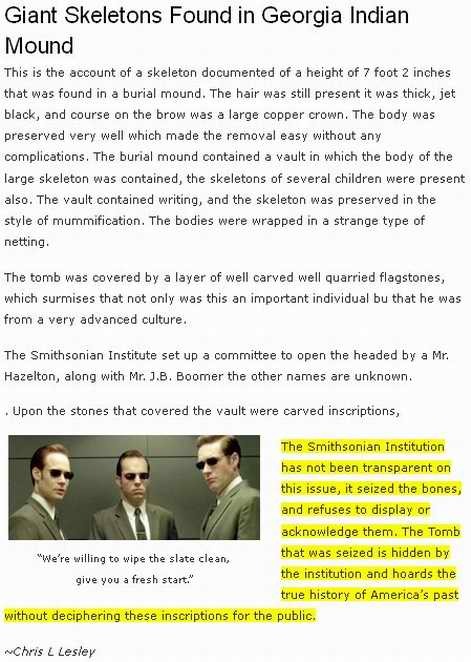 The crates containing the recovered remains, at the termination of work, were taken away by the Smithsonian officials and, undoubtedly, will never be seen again. 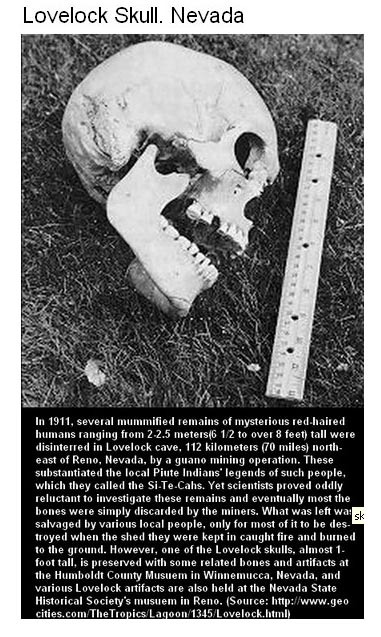 Strangely enough, there is a report of two similar skulls having been found in New Zealand’s far north around the beginning of the 20th century. Lisa later had official “hassles” when trying to come home to New Zealand and was severely grilled by US government functionaries as she attempted to depart from the U.S. If you are a lover of the TRUTH, then you will be excited that the truth is now ready to come out. I’m a native of Florida,4th generation. No wonder when the Spaniards arrived, the natives aka Indians were so darn mean. 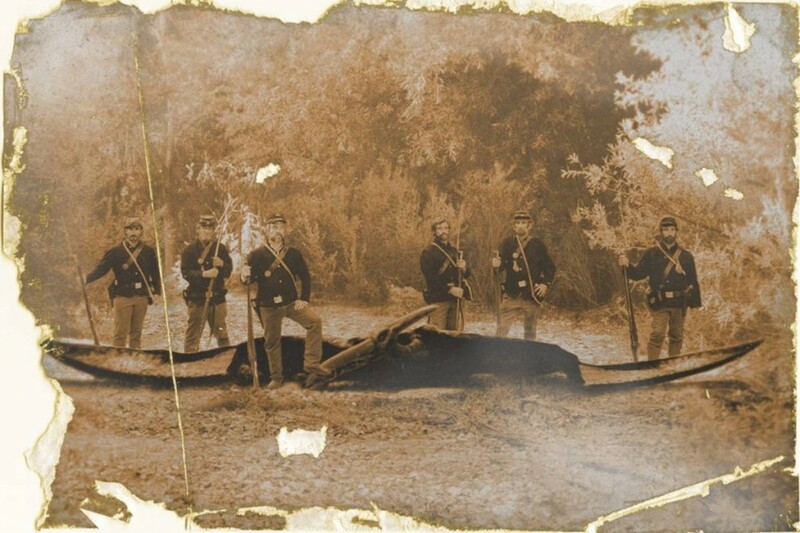 They had to fight those big boys for survival ! Every one who’s not asleep needs to join together and demand that The Smithonian comes clean. You know they haven’t destroyed all the evidence. The way they’re digging up Cental West Coast inland, somebody’s gonna find something. But the power of money, they’ll crush it, etc. Maybe that’s why all the sinkholes in Florida? The underground tunnels are being damaged? Just maybe there may be some still alive? We’ll never know until we demand the truth! The truth will set you free. And my favorite, Romans 3:4. 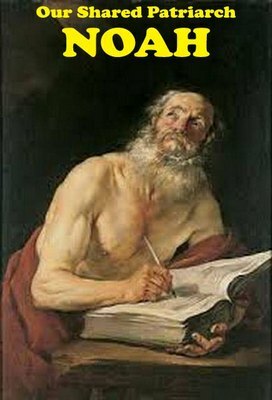 Let God be true and every man a liar.